A twist by any other name is still a surprise. Don't get me wrong... I love a good twist. They change the dynamic of the game and keeps the players on their toes. However, when they cause a player to get evicted within minutes after it's reveal then it leaves me wondering. Aneal Ramkissoon, the 21 year old communications student from Richmond Hill, is the third houseguest evicted by a shocking last minute twist from Big Brother Canada. Aneal is the self-proclaimed superfan that talked a lot of game and knew everything Big Brother. In the second round he was nominated by Head of Household (HOH) Jillian for eviction but survived after creating multiple deals with the power alliances. Thinking he was safe when Tom won HOH, Aneal relaxed after not being placed as a nominee. However, Big Brother had another idea. They revealed a new twist where Canada would vote to save either Suzette or AJ from the block with a second Power of Veto (POV). Suzette was saved and Tom needed to make a quick last minute decision - he nominated Aneal. 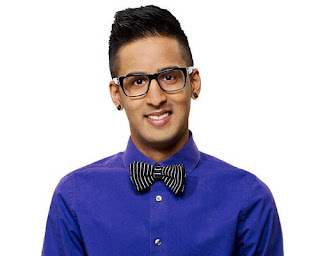 On Day 22, Aneal was evicted by a vote of 8-2. Aneal played a relatively low key game; however, most of things he would say held a manipulative undertone. His knowledge of Big Brother made him over think every move and he played too-hard-too-fast in just under two weeks. Getting to know the other houseguests is one thing but always being "on" and playing the game throws everyone off. No one could really trust him and being the manipulative outsider proved to be a scarier threat than most of the remaining floaters. Aneal needed to do some major damage control. His image in the house had nearly been destroyed after many believed him to be a manipulative threat. Either though the twist sealed his fate, it was only a matter of time before he would be placed on the nomination block again. Aneal should have laid low while solidifying new alliances and reconnecting with Tom. Though, nothing this early would have helped him; Aneal needed to lay low, regroup and then come back swinging. Aneal is one of the few houseguests I regret losing. He was there to play the game, caused lots of drama and generally wanted to manipulate everyone. Unfortunately he didn't suspect that the others were on to him and they had the opportunity to finally eliminate him. The twist did ruin his chances but to get an 8-2 vote within minutes of going up, it was a sign that nothing could have saved him at that point.